D.A.S. presents the Aero 12A compact line array system which joins the Aero Series2 family of professional sound touring products. The system incorporates an impressive battery of high tech features that take compact line array systems to an unprecedented level of performance. The latest in Class D power amplification, digital signal processing and optimized D.A.S. 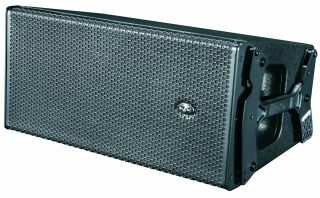 components have been combined with enclosures designed for rapid deployment, precise coverage and high acoustic output. The two-way amplifier design of the Aero 12A employs 3rd generation Class D technologies providing extended bandwidth, improved dynamic range and exceptionally low distortion. The compact and lightweight amplifier design requires much less space, reducing the overall cabinet size and in turn, the total cabinet weight.